FORT THOMAS MATTERS: Dari Bar Opens TOMORROW With NEW Menu Items. Although it feels as if winter never actually fully came, springtime is still upon us! And how, you ask, can one be so sure? Well, are you sitting down? If not, do so to prepare yourself for the excitement- The Dari-Bar in Silver Grove, KY is opening for business tomorrow, Saturday March 11! That’s right, everybody’s favorite spring/summer/fall tradition is back open for business after a mild winter that only made our appetites for fried meats and frozen treats all the more insatiable. 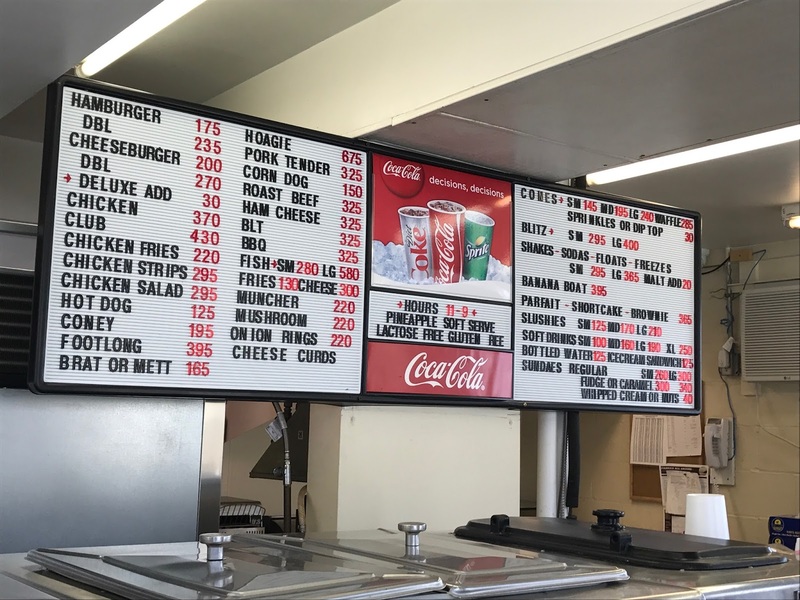 I can almost taste the fried mushrooms and chicken fries now and can’t wait to have that and wash it down with a grape slushy. Actually, come to think of it, I can ALREADY taste those items because I was the lucky beneficiary of an early meal and let me tell you, the food is every bit as good as I remember it from five long months ago. For some reason, this food simply tastes better than any other does after watching my son hit a game-winning base hit or my daughter score a goal down at Pendery Park. The ice cream and slushies taste colder after a day of hiking through Tower Park. This food tradition combines better, it would seem, with my many family traditions. So, I ask of you all, what favorite food/activity pairing do you have for The Dari-Bar? Baseball and banana sundaes? Soccer and a slushie? The orchestra and an onion ring, perhaps? 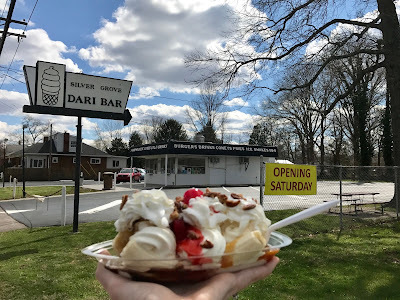 Leave a note below to give your favorites to other readers and be sure to stop by The Dari-Bar this weekend (remember, cash only) for your favorite treat, and if it gets to cold this weekend they encourage you to CALL ahead (859) 781-2221. Follow FtThomasMatters on Instagram for more behind the scenes in their stories. Theresa and Melissa have the menu set. We are usually satisfied with cones or a banana boat but have been known to indulge in onion rings and burgers.